Obese women with polycystic ovary syndrome (PCOS) often suffer from ovulation failure, which may be driven by granulosa cells (GCs) injury caused by increased levels of circulating oxidized low-density lipoprotein (ox-LDL) and luteinizing hormone (LH). PGC-1α may play an important role in this pathophysiological processes. However, the effect and the potential mechanism of PGC-1α on GCs injury evoked by obese PCOS is fully unclear. To investigate the protective effect and the potential mechanism of PGC-1α on GCs injury evoked by ox-LDL + LH stimulation. Patients with PCOS and women of normal reproductive age who undergoing egg retrievals and consenting for this research were collected. Those women were divided into normal-weight non-PCOS group, obese non-PCOS group, normal-weight PCOS group and obese PCOS group according to the body mass index (BMI) and PCOS diagnosis. Follicular fluid was collected and primary GCs were isolated. The levels of LH and ox-LDL in follicular fluid in the four groups were measured. And, the expressions of PGC-1α, cell apoptosis and ROS generation in primary GCs in the four groups were evaluated. After GCs from women of normal reproductive age at normal-weight pre-treated with adenovirus encoding PGC-1α (Ad-PGC-1α) prior to ox-LDL + LH treatment in vitro, the cell viability, apoptosis, apoptosis-related proteins expressions and ROS generation were evaluated by CCK-8 assay, AnnexinV/PI double staining, Western blot and H2DCF-DA staining, respectively. The expression of PGC-1α was significantly decreased, whereas the cell apoptosis and ROS generation were significantly increased in GCs of PCOS group, especially obese PCOS group. 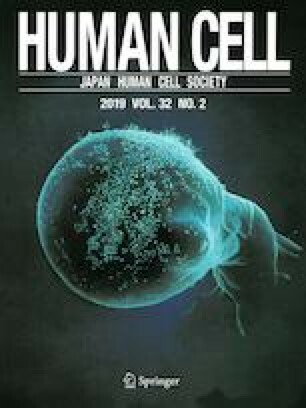 Our data also revealed that over-expression of PGC-1α in GCs from women of normal reproductive age at normal-weight markedly inhibited cell injury, ROS generation and p38 activation, accompanied by increased Bcl-2 expression, decreased Bax and cleaved caspase-3 expressions induced by ox-LDL + LH stimulation. Ox-LDL + LH-induced cell apoptosis was abrogated by attenuation of ROS generation or p38 activation. Attenuation of ROS generation reversed ox-LDL + LH-induced p38 activation, however, p38 inhibitors had an effect on ROS generation. Our findings suggested that PGC-1α protected against ox-LDL + LH-induced GCs injury through inhibiting cell apoptosis. And, the mechanism may be related to the inhibition of ROS-initiated p38 pathway. Our data indicated that PGC-1α may be a potential therapeutic target for obese PCOS. The online version of this article ( https://doi.org/10.1007/s13577-019-00252-6) contains supplementary material, which is available to authorized users. YL carried out the study, data statistics and drafted the manuscript; JZ supervised the study and the data statistics; JC participated in study design and the data statistics; XW and TW participated in scientific discussion of the data. All the subjects undergoing egg retrievals and consenting for this research, and all the clinical data were collected with the consent of the subjects and their family members and signed the relevant informed consent. Moreover, the experimental design was approved by the Committee for Ethics of Beijing Tongren Hospital. This study is approved by all authors for publication.